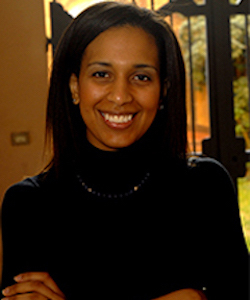 Odette Boya is a U.S. and Italian national born in Kinshasa, D.R.C. She has held various positions in international organizations and think tanks related to international development and communications, with a focus on Africa. She is currently senior editor in FAO’s Resource Mobilization division and was also a learning specialist at FAO and an editor with the AfDB. Prior to this she was head of communications at Johns Hopkins University SAIS in Bologna. She brings her wide network of business and academic contacts on three continents. She holds an MA in International Relations from the Johns Hopkins University SAIS and a BA from McGill University.